Hi! 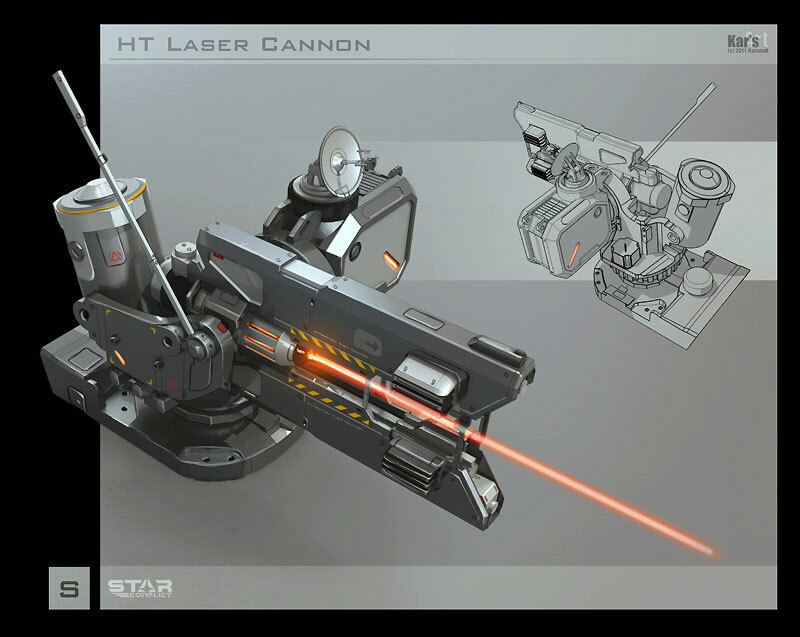 My name is Alexei (aka Karanak), and I’m one of the concept artists who worked on the MMO game Star Conflict. 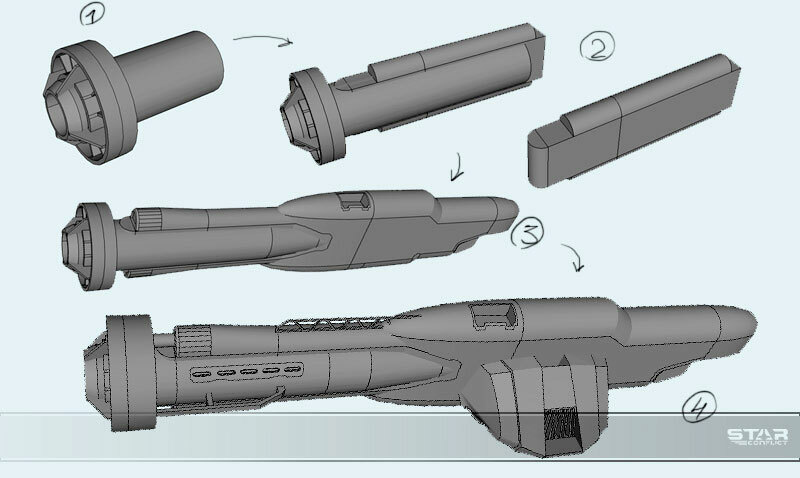 I would like to guide you through my work process in the design and development of this futuristic ship carrier. My task was to make a huge ship carrier, which would serve as a Clan Aircraft Carrier Dreadnought for the Federation of Free Planets faction. 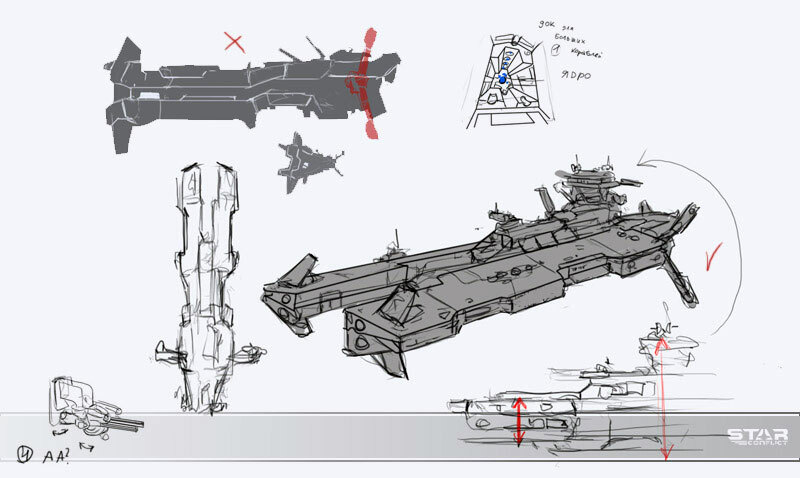 The ship’s in-game size is approximately 10 km long. 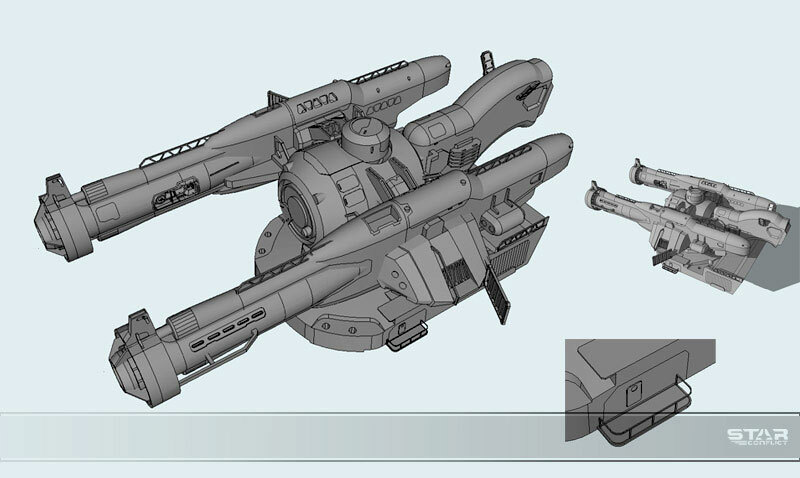 Naturally it’s a carrier for smaller ships, but it’s also armed with multiple firing systems. That’s what we’ll talk about today. 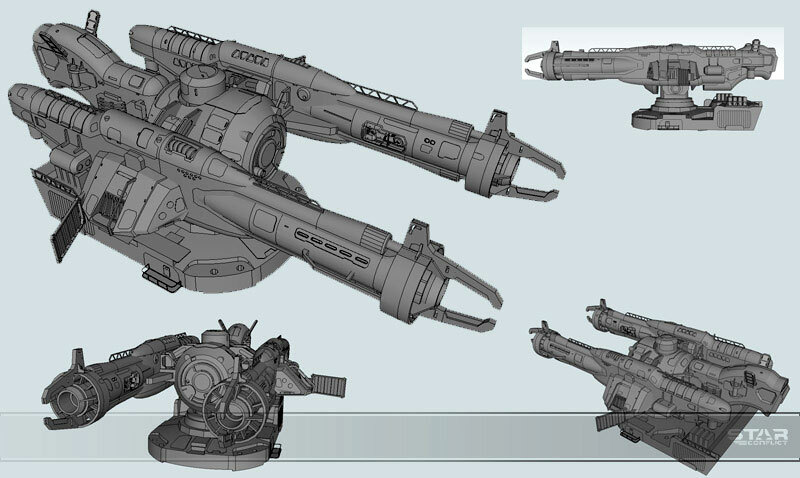 But first, I want to say a couple of words about the whole idea behind the dreadnought’s appearance. As soon as I received the order to create this ship, I started to look for inspiration: digging through piles of previous sci-fi works and searching for something capable of sparking my creative thoughts about the monster I was after. No proper inspiration was found. Then I went through some special space fantasy blogs – still nothing. I had not found anything that even came close to what I was looking for, neither with this enormous size nor with the firepower and functionality of a carrier. So, I turned to the classics. I came across some artwork and screen grabs from Star Wars, and they gave me precious inspiration. I started making sketches to get my rough ideas down on paper. After coming up with some variations I finally had something to choose between. 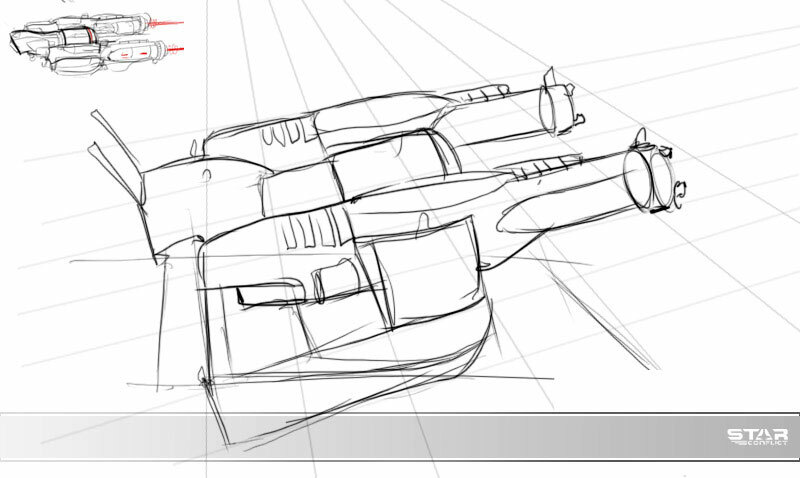 Once the generic view was established, I switched to the ship’s weaponry design. 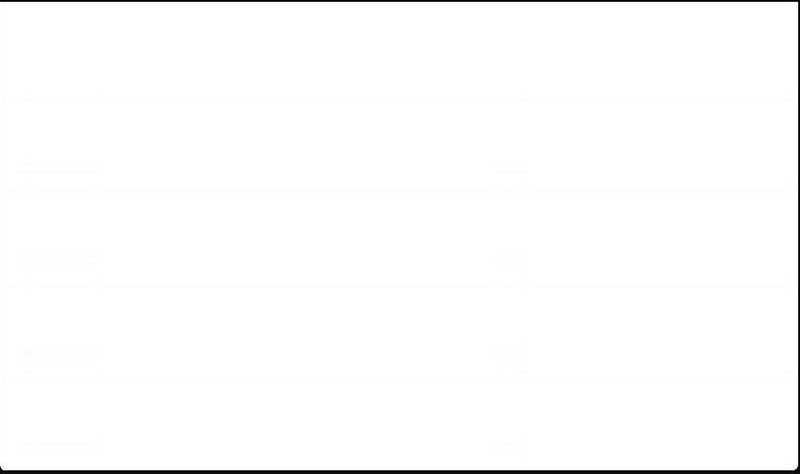 I was expected to make several types of weapons such as mounted AA guns (which will be manned by the player); the main heavy caliber weapons (enormous laser turrets supposed to fire at enemy ships of an appropriate size); smaller laser batteries; and rocket-launching towers. Well, let’s start with the AA complex. I’d been thinking about the overall concept for a long time by then. 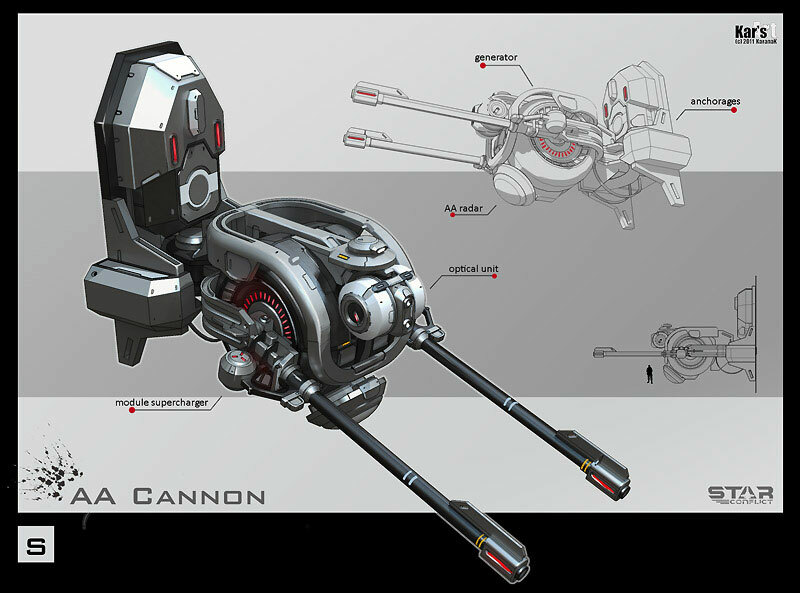 The main idea was to design an automatically controlled turret with its own power generator, so it could be independent from ship’s mainframe. The sketches didn’t take much time to be made, and here’s how they looked. 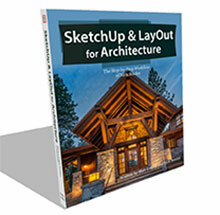 After that I started modeling in SketchUp. I began with the optical sensor section responsible for targeting. 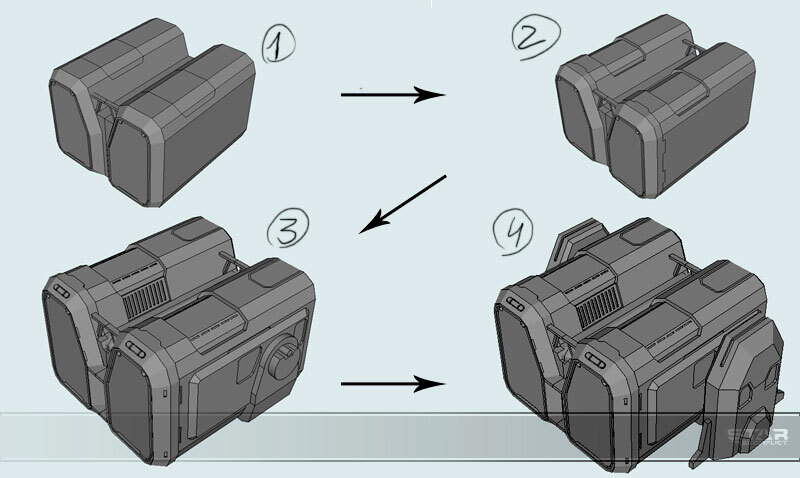 The sections had several mounted cameras on it, able to rotate on multiple axis. When that section was complete, I switched to the body of the module, which had an elliptical platform in its base (since it was necessary for the module to contain its own power generator). Barrels were put into a system of magnetic receivers that were supposed to be able to slide around the curved side of the module’s power generator. And last but not least, I had to invent an appropriate attachment mechanism for the whole module. It was given a sliding lock to give it mobility on a horizontal axis. Finishing the model I copied it into a blank Photoshop Layer and gave it some after-effects. I merged the material render from Hypershot ( now called KeyShot ) and a screenshot from SketchUp to enhance the picture without spending to much time on it. 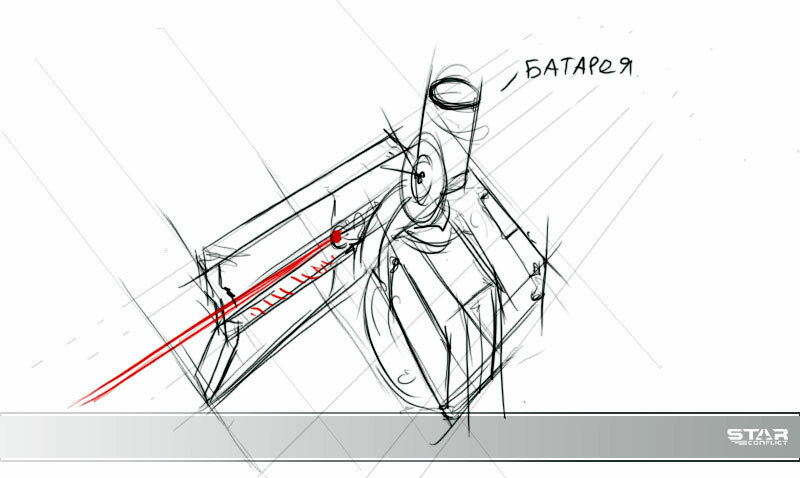 Maybe I’ll give more details on how I designed that module later, but for now let’s move on to the next weapon. On my list was a small laser turret. This module was designed to carry a lightweight laser gun. Such a weapon would not be able to saw a light fighter in half, but would still be capable of causing severe damage with its pulsing heat beams. 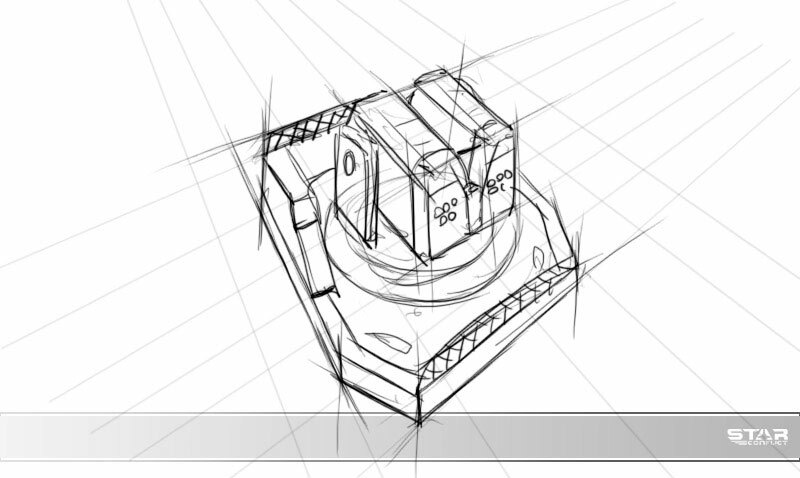 This is the concept sketch of it. 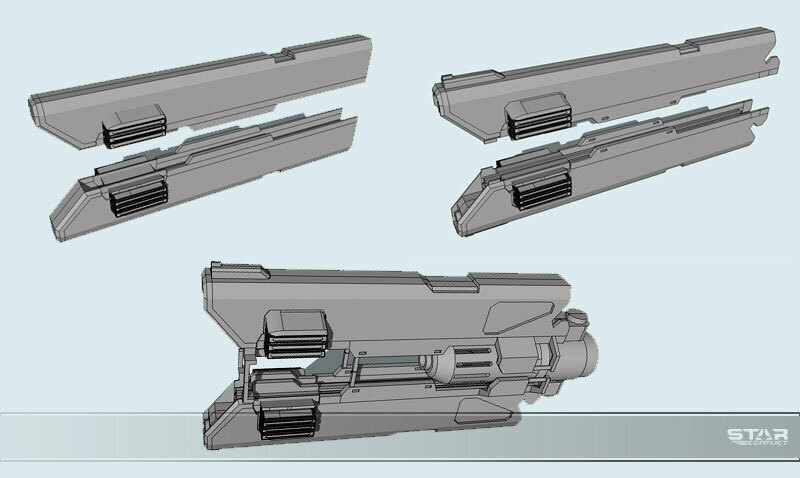 At this stage I returned to SketchUp and began modeling a basic concept. I started with the “barrel”. It was given a pair of radiators to exhaust excess heat. The element emitting the laser beam was designed as a spiral-shaped block. 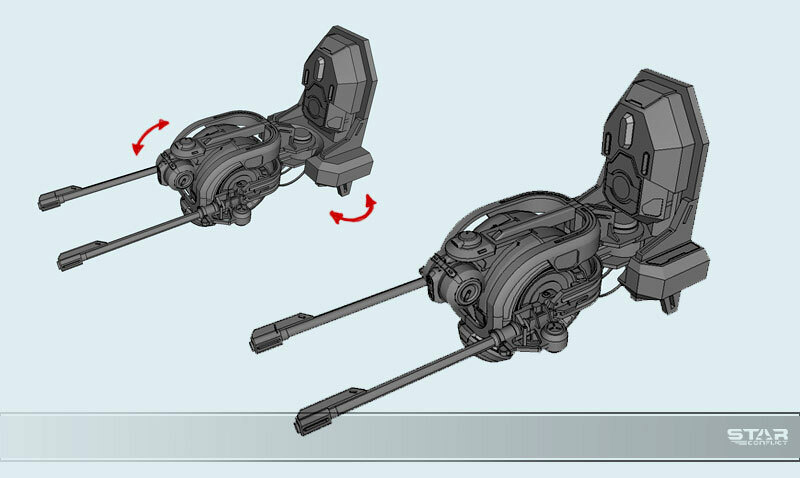 When spinning fast enough, it would be able to channel a static beam generated inside the turret. The next step was to model a box stuffed with electronic devices and a locator (dish) mounted on top of the container. 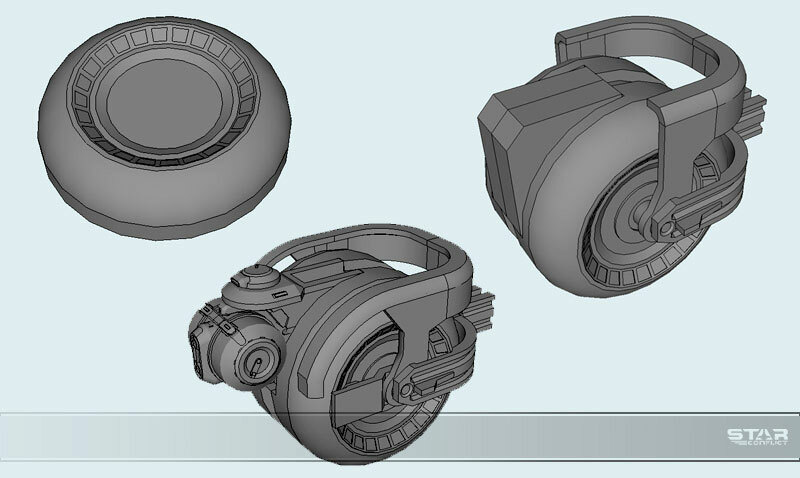 Next I modeled the turret base which holds the laser barrel itself. The base is capable of moving on a vertical and horizontal axis and has a wide angle of fire. Image below shows all components installed together. Finally I improved the look with small details and painted the dummy in slightly different color tones. 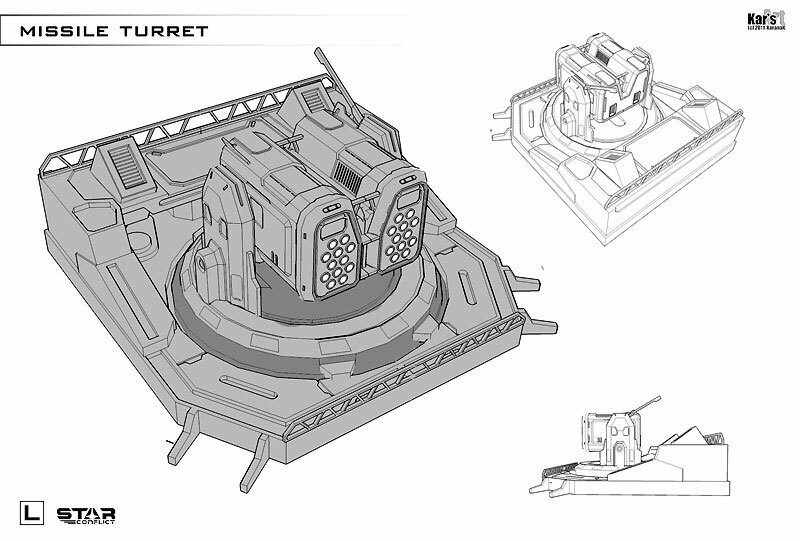 Then – same as for the AA turret – I remastered it in Photoshop and composed a concept list. Now it’s time for another gun. This time it is a heavy laser weapon of enormous size. 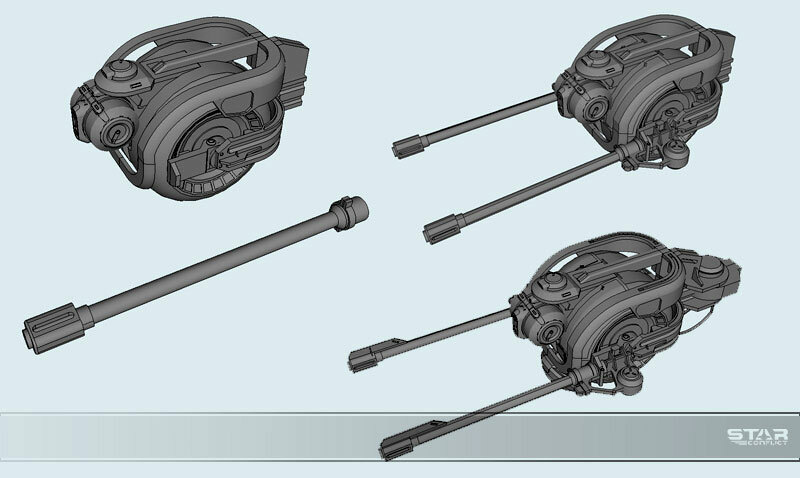 Basically it has something in common with main caliber cannons mounted on the up to date naval vessels you see today. 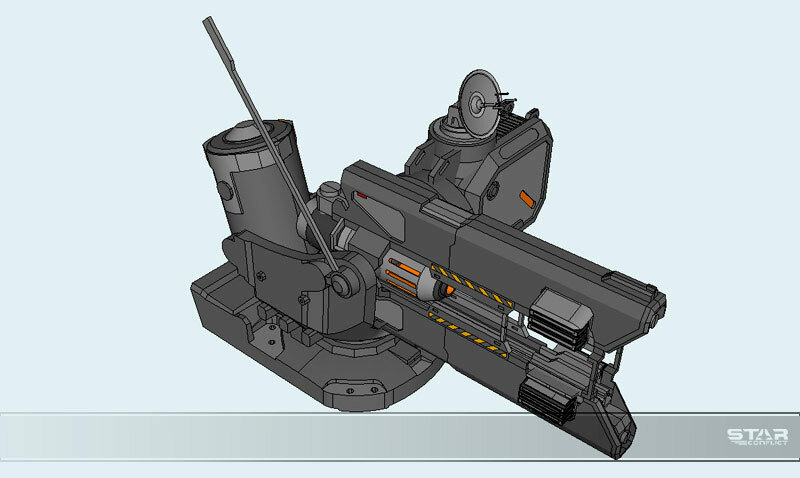 This gun is obviously supposed to be the main attack unit designed to destroy enemy spacecraft of similar size. 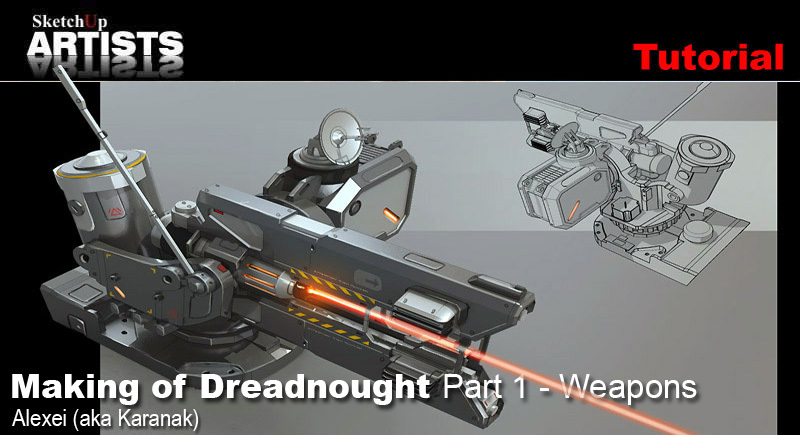 By design, these lasers will be Dreadnought’s killers. This is how the first sketch of it looked. The weapon has two barrels. A large independent generator is placed between them. 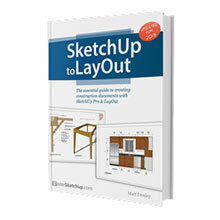 So, I began my work in SketchUp again. I started with one of the barrels. 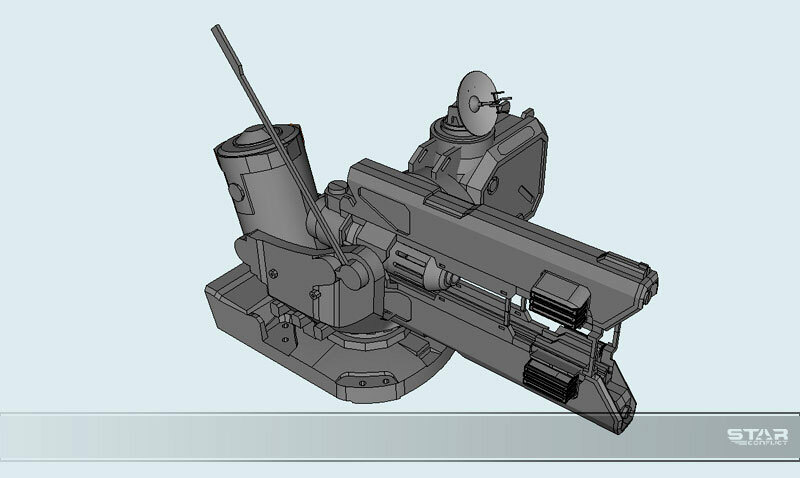 After that when the basic shapes of the barrel were ready, I began creating the central part, the portion of the gun which contains the generator and all necessary attachments. Then the base of the turret was made. 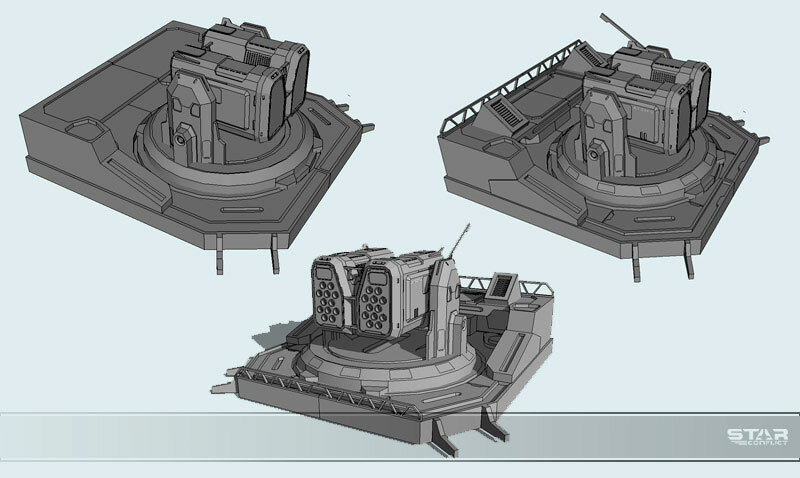 I took the smaller laser turret base for beginning, made some changes in the whole module’s design. Added some geometry and small details. 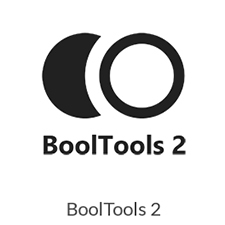 Next step – adding even more visual features. This is a gun that requires a lot more details to be shown so I had to dig in and make these details. 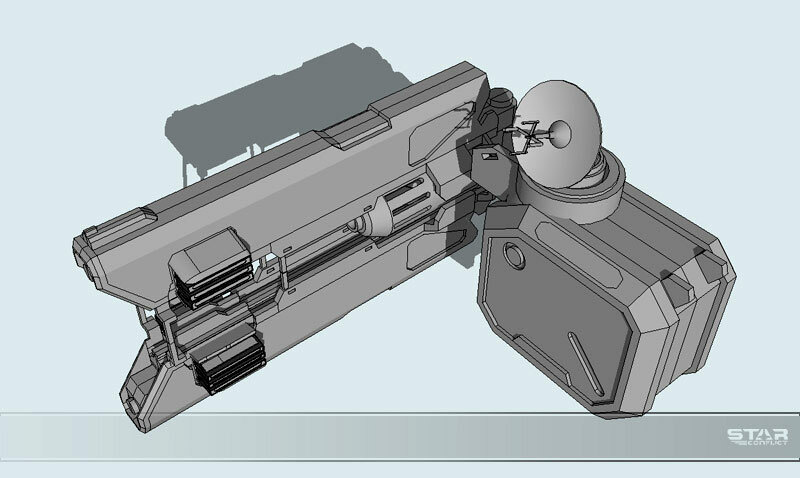 Then I improved texture of the shell, put some details to main junctions and ‘voila’ – the gun is ready! The final colored picture was decided to be shown later since I started running out of time with the weapon design. 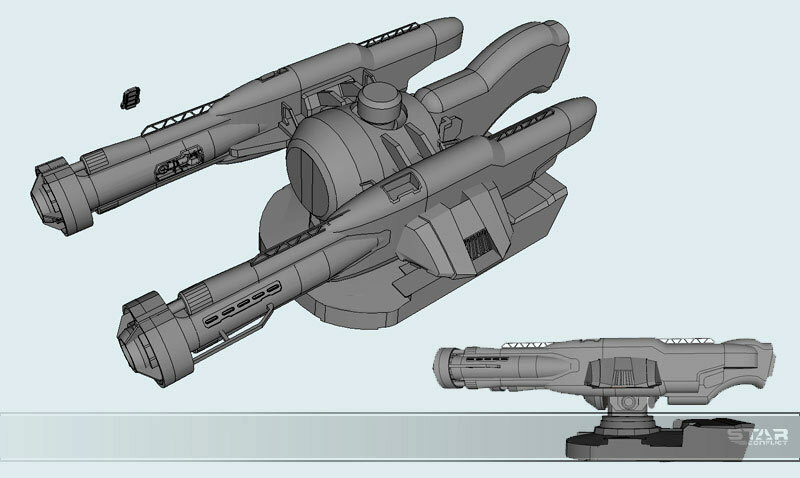 This is how the final model looked before color. The last item in the current list of weaponry….rocket launchers. I believed that it should be completely classic. A box with an impressive number of rocket slots on a rotating block. Started with a dummy of the main container. Pretty simple. In conclusion I made a base that would carry the main portion of the gun. 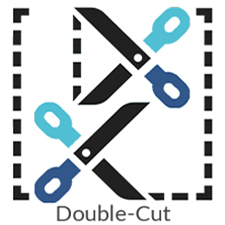 The final image was designed just like the picture of the previous weapon. 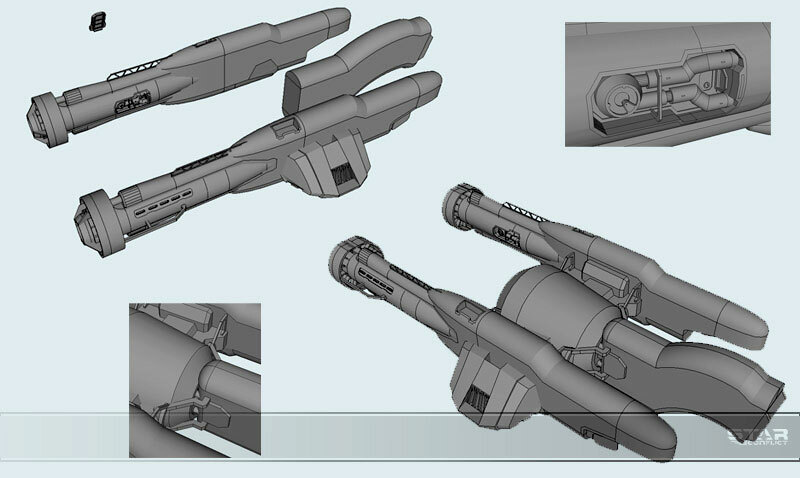 That’s the weaponry modeled, now for part 2……. the hull design! 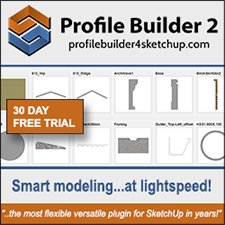 Do you have any suggestions of videos or tutorials to learn how to create complex models in SketchUp? These models are so much more complex than anything I have ever created in anything let alone SketchUp. Great work and a vivid imagination, love it! Any thoughts on the reloading of the missile turret? 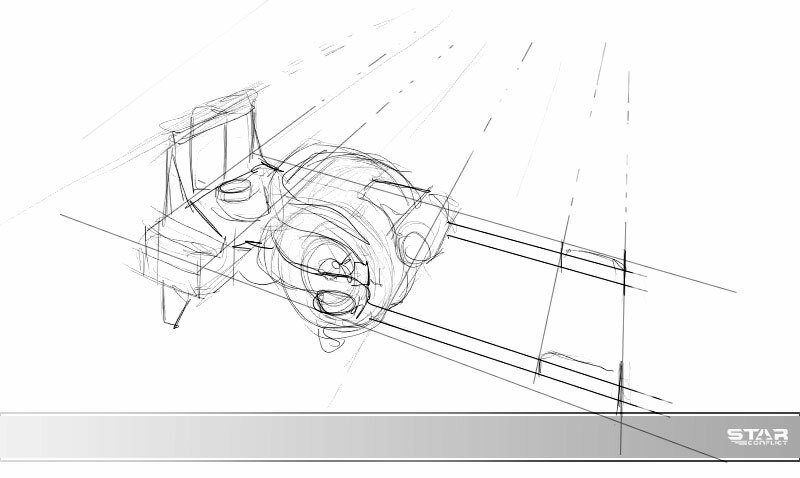 Suggests that when all missiles been fired away, the moving portion of the turret is turned into a vertical position. 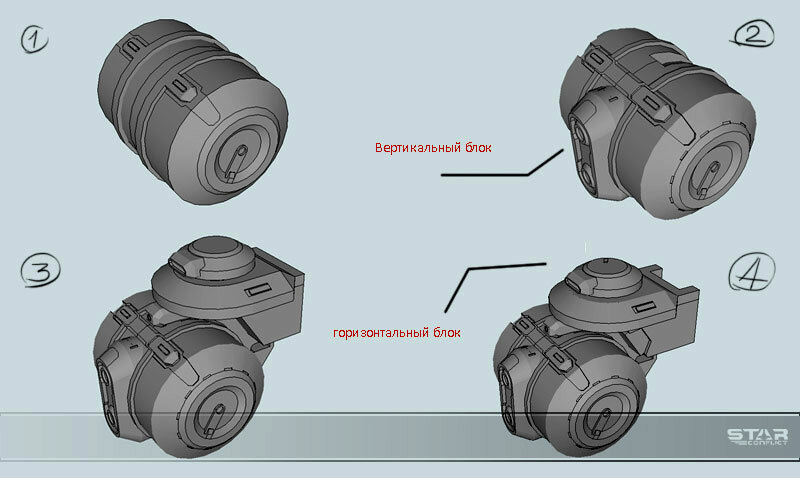 The emty “clips” (missile holders) is retracted down in the center of the turret platform and a new fully loaded clip is put in place from the same position. The turret swings back in “ready position” and is back in the game. you have some pretty great shapes in that model. I’m really trying to identify the best way to create those kinds of shapes (smooth, complex curves). any tips? pls advise me to draw like that? great work! 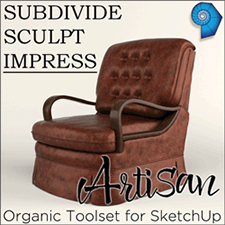 Great art and 3D modeling work!